What’s happening in the world of performance management? Recent headlines about performance management suggest that something significant is happening. Headlines such as “Companies Getting Rid of Performance Appraisals” and “Performance Management is Not Performing” seem to be dominating the HR world. Are you confused about what this all means and what you should be doing going forward? Well you are not alone. Many business leaders, managers and HR professionals alike are unsure of what this means. This article seeks to answer some of the questions about the recent changes and trends in performance management and provides guidance to managers and HR professionals on what they should be thinking about in respect of their performance management practices. Question: Is performance management redundant and now a thing of the past? Answer: No. Performance management is still very much alive and needed. However, the process of how organisations manage the performance of their people is starting to change. 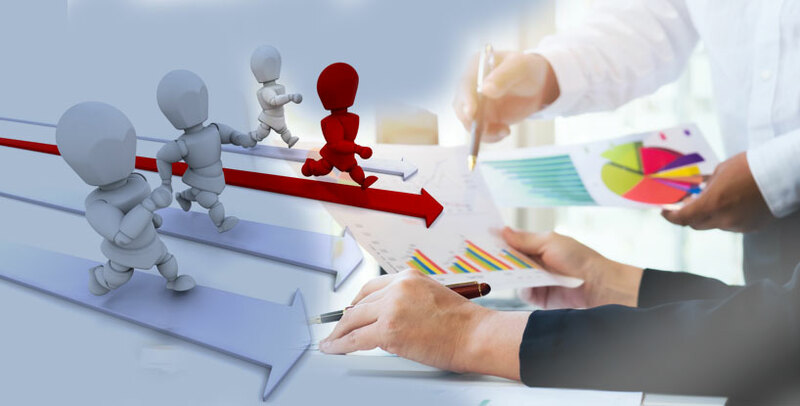 The aim of performance management is still very valid and strives to improve individual performance in order to enhance the overall performance of an organisation. However, the ‘how we do this’ is where the key changes are happening. Question: What has changed and why? Answer: In summary, recent changes are leaning towards simplifying the performance management process making it more agile and relevant to the business needs. Delving more deeply, we have identified two (2) key things that are changing in the performance management process. Firstly, the ‘annual performance review’ or the ‘annual appraisal’ that traditionally takes place at the end of the year is being replaced by more regular informal reviews. Organisations have begun to question if the traditional approach of a ‘once a year appraisal’, which is seen as an administrative and burdensome task, is adding value, and are realizing that the value added does not reflect the time and effort spent. The second change is the focus of the performance management discussion. Traditionally, the focus of the discussion has been to review progress against each objective and competency, and provide feedback on what was achieved during the last year. In other words the discussion is focused retrospectively on past performance. New thinking is shifting towards a greater focus on what an individual needs to do to achieve the desired results for the upcoming weeks/months rather than what happened in the past. The focus is on communication, coaching and support. In addition to the above, new technology tools are supporting these changes in helping companies to make their performance management system more agile through setting and sharing goals and providing feedback in real time. Question: Is objective setting still important? Answer: Yes. Objective setting is still important as this process helps organisations break down and cascade the strategy into specific objectives which provides clarity and direction for employees. However, the traditional approach to setting objectives only once a year is no longer seen to be fit for purpose and organisations are shifting towards setting objectives more frequently throughout the year to meet the dynamics of the business e.g. monthly or quarterly. The approach allows managers to adapt more easily to constant changes in their business demands and environment. Question: Are performance ratings alive? Answer: Yes. Performance ratings are alive and still being used by organisations to differentiate performance for reward and pay decisions. Although some major players such as Microsoft have removed ratings, this is still being tried and tested. Some organisations have found this to be a successful strategy but more organisations have reported that this has not been successful. Without ratings managers find it hard to explain to employees how they are performing and employees find it hard to understand their level of performance. For this strategy to work it requires significant investment to ensure that managers have the capability to implement the change. Question: Is calibration still practiced? Answer: Yes. Calibration remains a key driver for performance management success. Through the process, companies ensure fairness and consistency in how managers rate employees’ performance which is important as promotions, career and compensation decisions are all based on the performance evaluation. Even in a no rating environment, organizations are still making performance based pay decisions through a combination of business metrics and calibration committees. Question: Is forced distribution still practiced? Answer: No. Forced distribution is becoming unpopular and companies are avoiding using it. Forced distribution describes a comparison measure where managers are obliged to rate their employees according to a set distribution. It generates negative employee reactions and managers feel they have not been able to evaluate their teams fairly. Question: How can I ensure my performance management framework is effective? Establishing an effective approach to performance management is a challenge. Is your company taking steps to address the problem? Contact us to find out how PeopleFirst can help you revamp your performance management system. Whilst reviewing the recent changes in the world of performance management, two companies that are pioneering the process caught our attention. We would like to share their new practices with you. Booking.com have re-defined their performance management system and are no longer relying on a once-a-year performance appraisal. The company is now using a technology tool to conduct regular 360 degree feedback where employees give and receive instant feedback using their smartphone. Through the data collected, the responses are weighted in real time which allows for a complete picture of how people are performing from different perspectives. Deloitte has shifted their performance assessment from evaluating past results to evaluating future performance. At the end of projects, Deloitte is now asking its team leaders to respond to statements about their employees which are future focused e.g. “Given what I know of this person’s performance, I would always want him or her on my team [measures ability to work well with others on the same five-point scale]”. The company has implemented this change to bring consistency in their rating system.